Building on seven strong editions, the eighth edition maintains the organization and approach for which Object-Oriented and Classical Software Engineering is known while making significant improvements and additions to content as well as problems and projects. 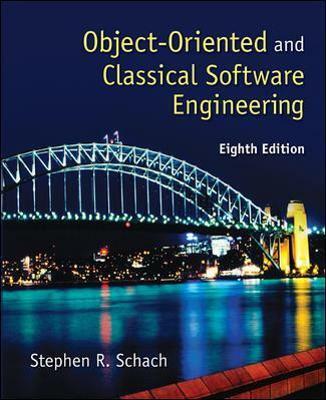 The revisions for the eighth edition make the text easier to use in a one-semester course.Integrating case studies to show the object oriented approach to software engineering, Object-Oriented and Classical Software Engineering, 8/e presents an excellent introduction to software engineering fundamentals, covering both traditional and object-oriented techniques. While maintaining a unique organization with Part I covering underlying software engineering theory, and Part II presenting the more practical life cycle, the eighth edition includes significant revision to problems, new content, as well as a new chapter to enable instructors to better-utilize the book in a one-semester course. Complementing this well-balanced approach is the straightforward, student-friendly writing style, through which difficult concepts are presented in a clear, understandable manner.